Why not consider a "Florida Dive Training Weekend" for completion of your open water training dives! Scheduled 8 times per year "Florida Dive Training Weekends" are designed to provide the highest level of safety, training, and experience in a tropical resort setting. These weekends, leaving Friday and returning Monday, are designed for busy people who have limited time but want maximum experience. The training weekends are held in two locations based upon predominant seasonal weather patterns. 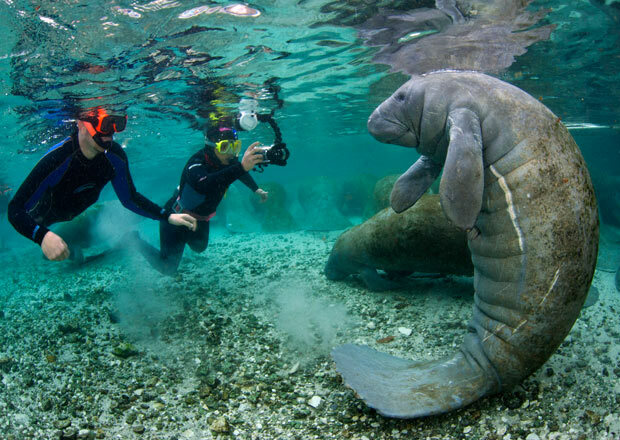 April thru September "Florida Dive Training Weekends" are held in Key Largo where you can experience the nation's first underwater preserve, the John Pennekamp Coral Reef State Park and the Key Largo National Marine Sanctuary. These reefs are among the most beautiful and diverse of all living communities on the planet. For more information you can log on to fla-keys.com and click diving and snorkeling. 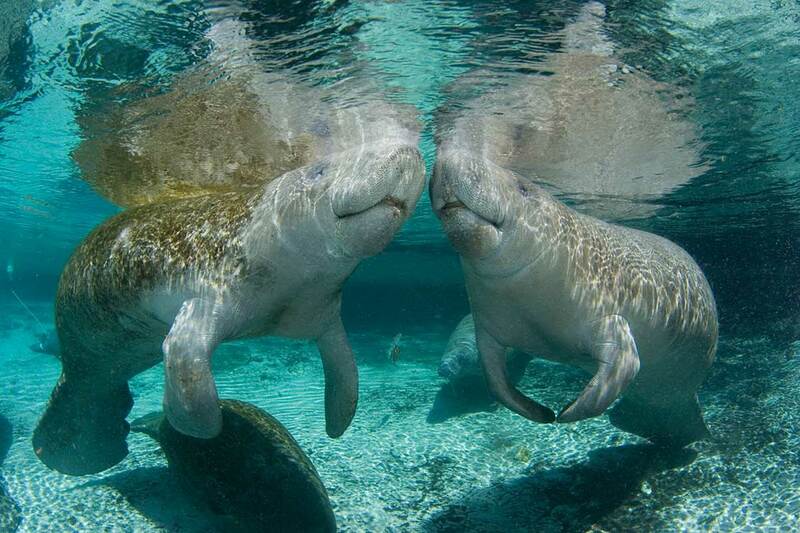 October thru March "Florida Dive Training Weekends" are held in Central Florida's rivers and springs near the Crystal River area one hour north of Tampa. 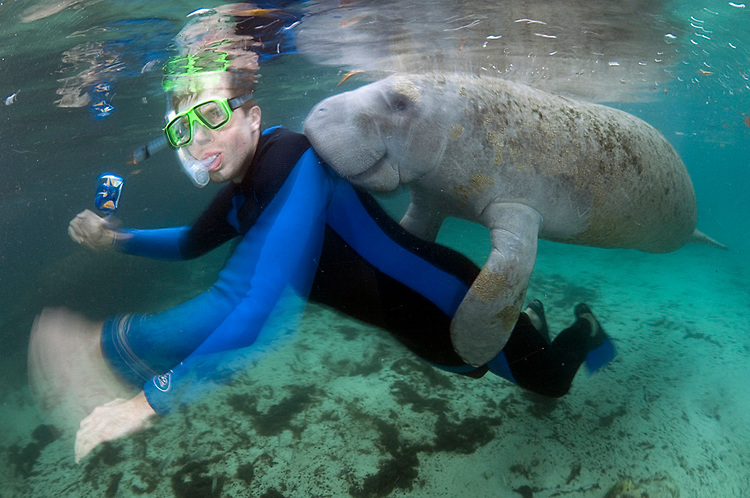 At this location, you have the opportunity to dive with the endangered Manatee, where crystal clear spring water fills grottos, rivers, caverns, and caves. For more information you can log on to Devil's Den, Blue Grotto, Ginnie Springs. "Specialty Dive Travel", scheduled two times per year, is by invitation only. These trips will provide the qualified participant an extreme level of recreational sport diving. Trips such as the "Heavy Metal Tour", in the Florida Keys, which includes wreck dives on the Spiegel Grove, Duane, Eagle, Vandenberg, and Thunderbolt are all in excess of 100' and push the limits of recreational diving activities. Gulfstream drift diving in the Florida Palm Beach area offers qualified participants a chance to float, suspended in inner space, like an astronaut over miles of abundant marine life, patch reefs, and wrecks. For more information you can log on to thescubaclub.com. Technical training and extended range diving operations (depths exceeding 130') is scheduled once per year by invitation only. The training is conducted at Haigh Quarry, several Lake Michigan Shipwrecks, Bonne Terre Mines and the Florida Keys. Why settle for less when you can learn from the best? Completion of this syllabus may qualify you to explore deep shipwrecks such as the Andrea Doria and the Japanese Fleet sunk at Truk Lagoon. Captain Darrick Lorenzen is 1 of only 400 Course Directors Worldwide for the National Association for Underwater Instructors.